Bukit Mertajam is a place I hardly venture into because the highlight of Penang is the island, or so I thought. 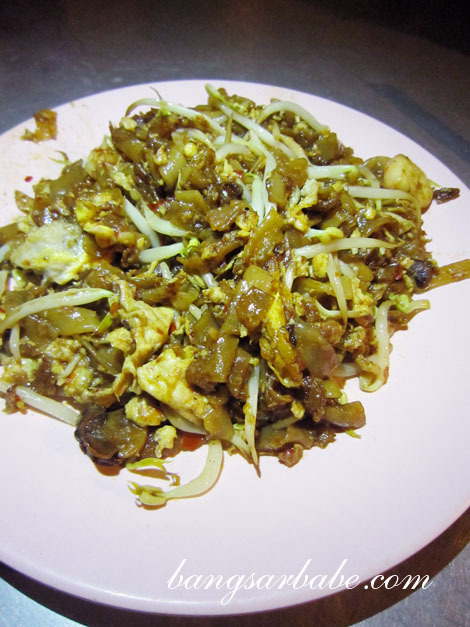 A recent pit stop on the mainland allowed me to explore the many food delights Bukit Mertajam had to offer and I even revisited an old favourite – duck egg char kuay teow. The stall is located next to the Bukit Mertajam taxi station and opens from 8pm onwards. Often, the wait can be long especially when there’s a queue. I hate it when people ‘tapau’ more than 10 packets of this char kuay teow in one order as that only meant I had to wait even longer for mine to arrive. I don’t speak a word of Hokkien, but managed to order two plates of duck egg char kuay teow with an additional fried duck egg on top. Not sure how much a plate cost these days but I paid RM11 for 2 large plates with extra egg and a cup of very diluted herbal tea. 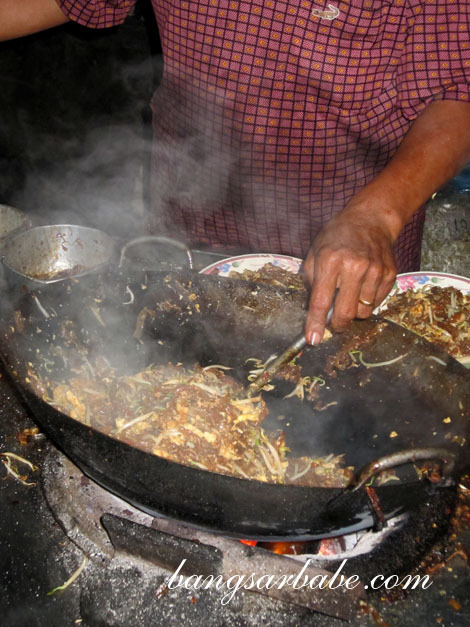 The char kuay teow was as good as I remembered it to be. 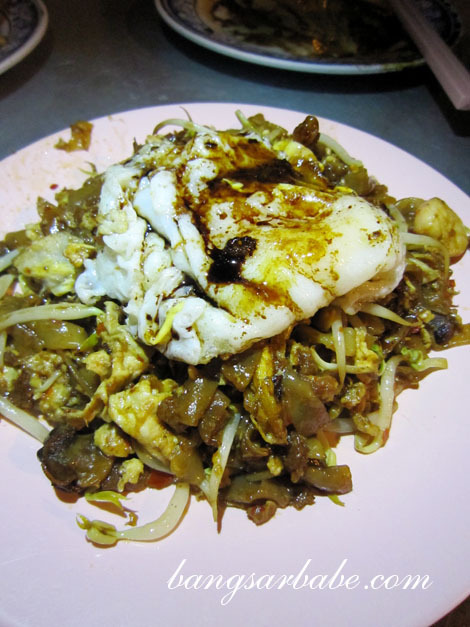 This was wetter than the usual char kuay teow you get in Penang island, but packs a wallop of wok hei. The noodles were smooth, thoroughly seasoned with special black sauce and came with plenty of cockles and crunchy bean sprouts. I would have preferred slightly larger prawns but that’s just a small issue. 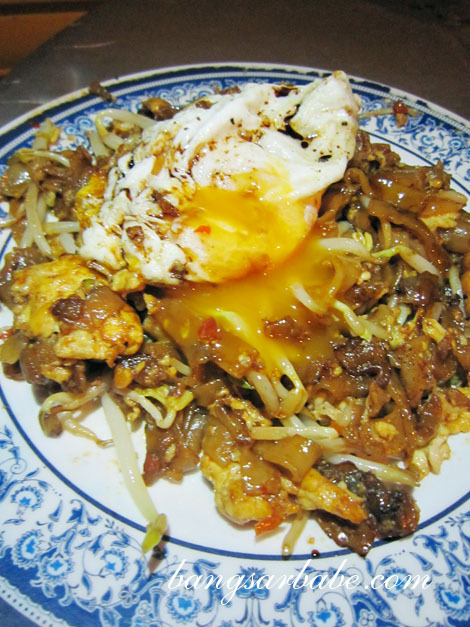 The runny yolk of the fried duck egg gave a touch of creaminess to the already rich kuay teow. Seriously good stuff! You just need to ignore the cholesterol police barking at the back of your conscience and schedule a detox session the next day. I tried to takeaway a packet of this once and the noodles were still tasty when I ate it in KL. Of course, nothing beats eating it on the spot. 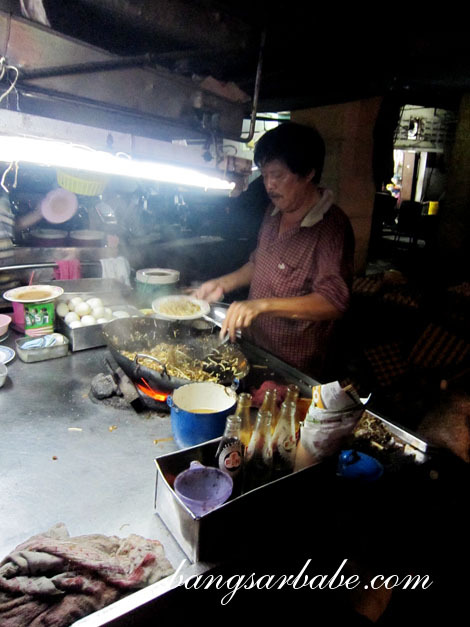 So if you’re ever in Bukit Mertajam at night, you know what to eat! Verdict: A must-try in Bukit Mertajam. Enough said. my fav stall is at Jalan Kulim there..
Hahaha…you and me both. If only it’s in Bukit Bandaraya…LOL!! WITH EXTRA fried egg, double sinful! Do u notice that there is a lot ckt is using a short spatula …. I wish I can, too many work commitments and outstation traveling. 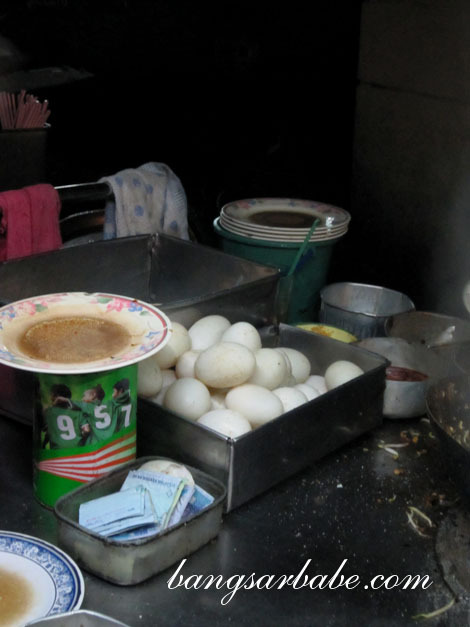 There are 3 duck egg CKT stalls in BM actually. I think they are all brothers. One is by the taxi stall as you mentioned, another is by the train station, and the other is at Jalan Kulim , opposite caltex.